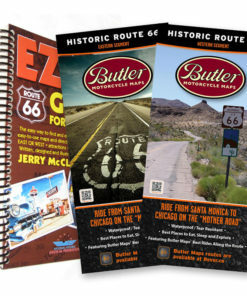 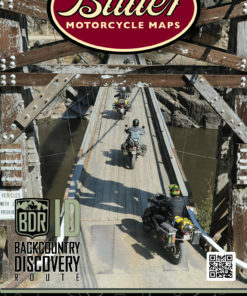 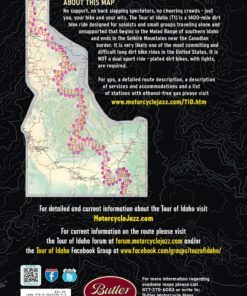 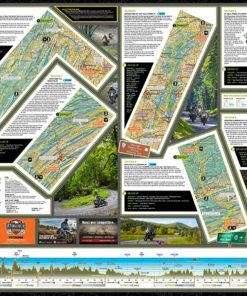 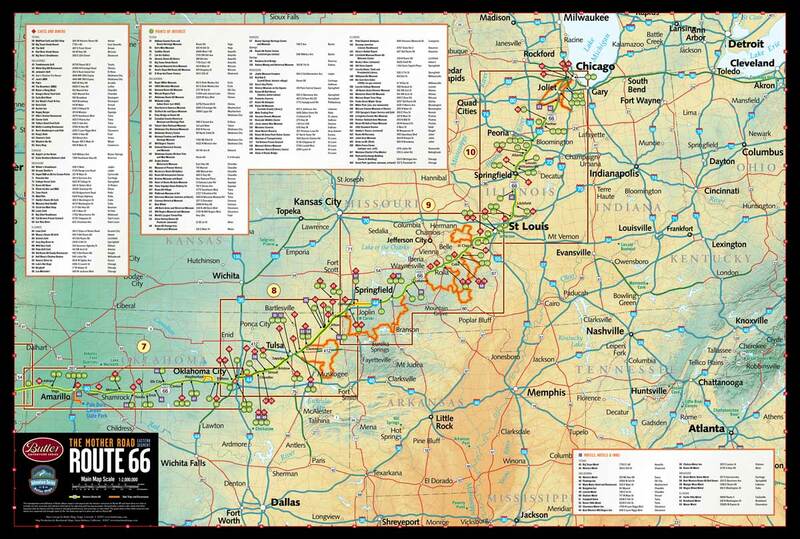 There are plenty of road maps that will put you on and keep you on Route 66 . . . but there’s more! 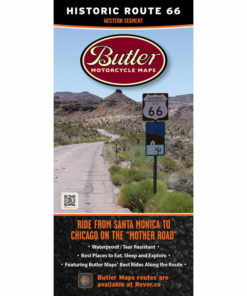 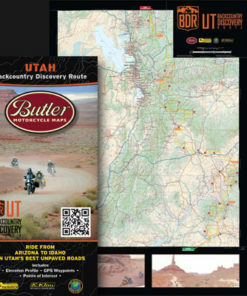 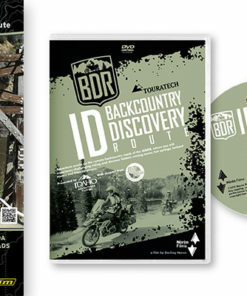 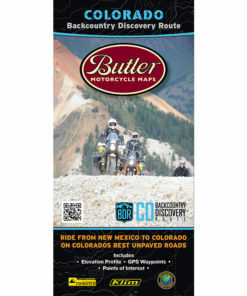 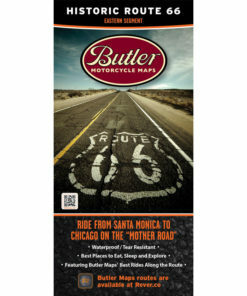 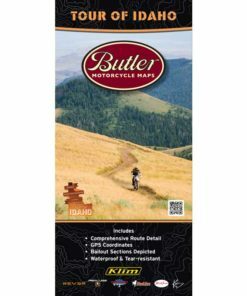 At Butler Maps we make maps for adventurers (we ride and rate the most scenic and dramatic paved roads in the country), so we scoured our G1 map collection, hand picked some great roads very near and all along Route 66 and created twelve scenic loops and side trips that can add a new and exciting dimension to your once in a lifetime experience. 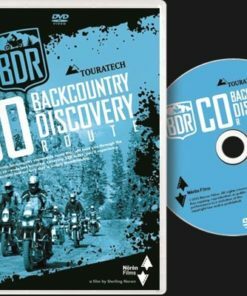 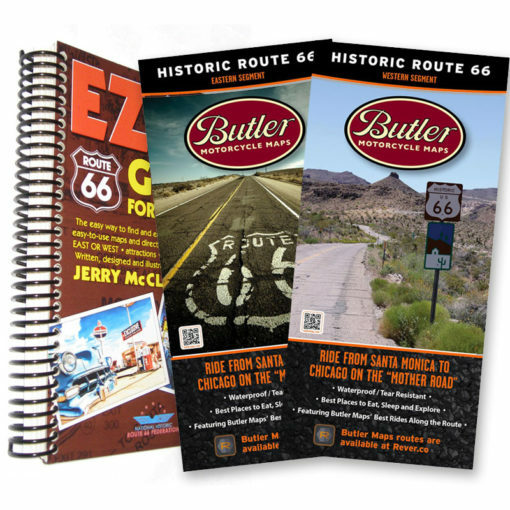 With the guidance of Route 66 author, artist and expert Jerry McClanahan, we have organized this unique, easy to use and thorough travel and tour guide that will surely enhance your Mother Road excursion. 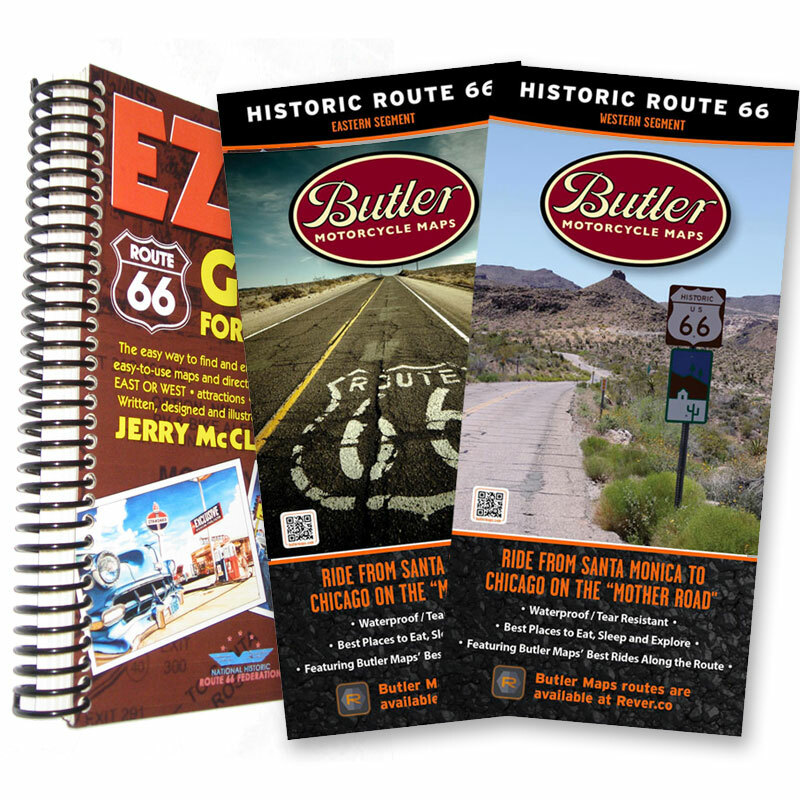 96 classic cafes and diners, 63 nostalgic motels and 169 points of interest are located on the map, with street addresses. 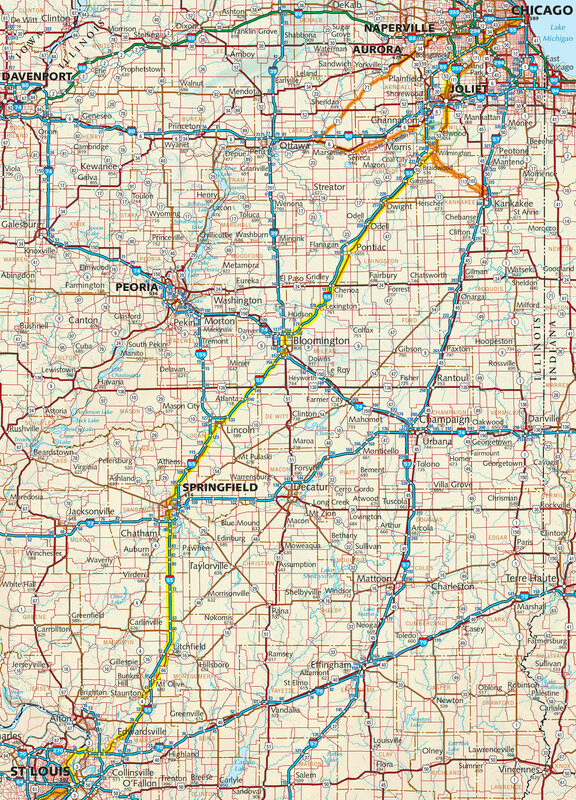 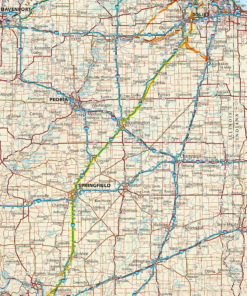 Although over 80% of original Route 66 is still easily drivable, it is not on ordinary maps (with exception of Butler Maps) and signage is spotty. The EZ66 GUIDE For Travelers is the answer to finding the Route. 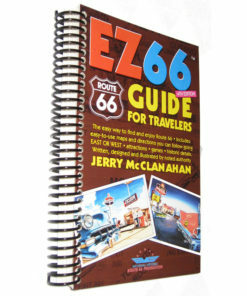 The 4th Edition EZ66 GUIDE For Travelers has many pages updated. 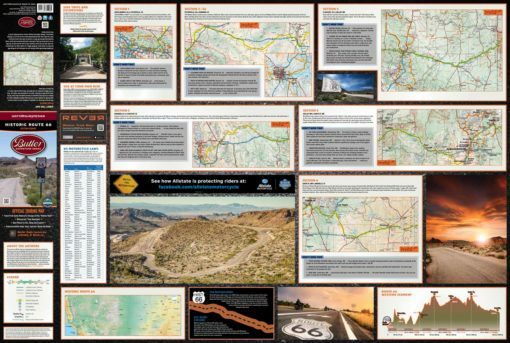 This is the ultimate guide for finding and exploring the Route whether you’re driving from the WEST or the EAST. 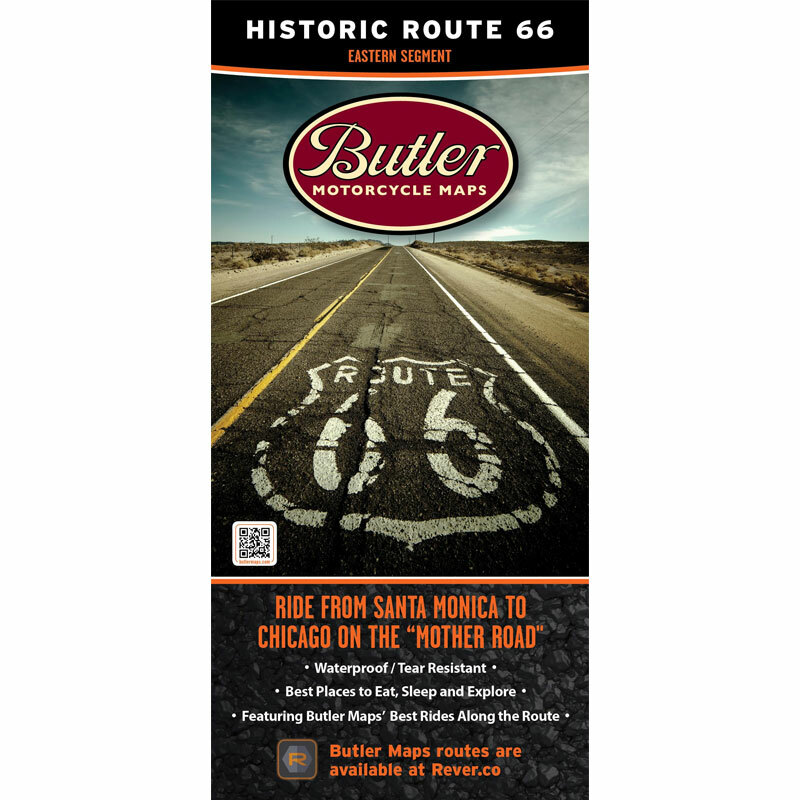 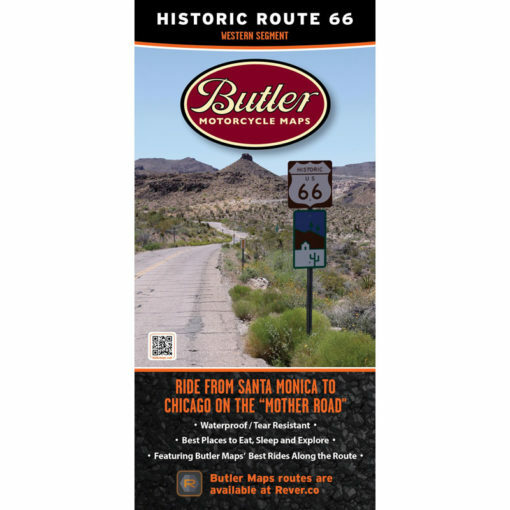 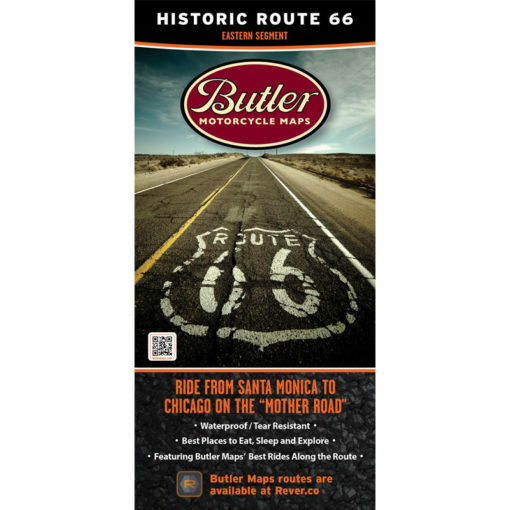 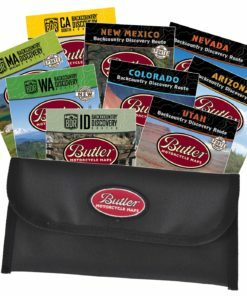 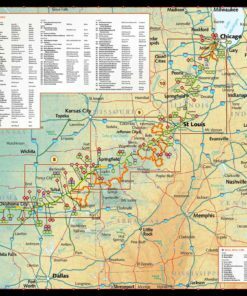 It’s maps and directions are comprehensive yet easy to follow and meant to be supplemented with Butler’s Historic Route 66 two-map set . 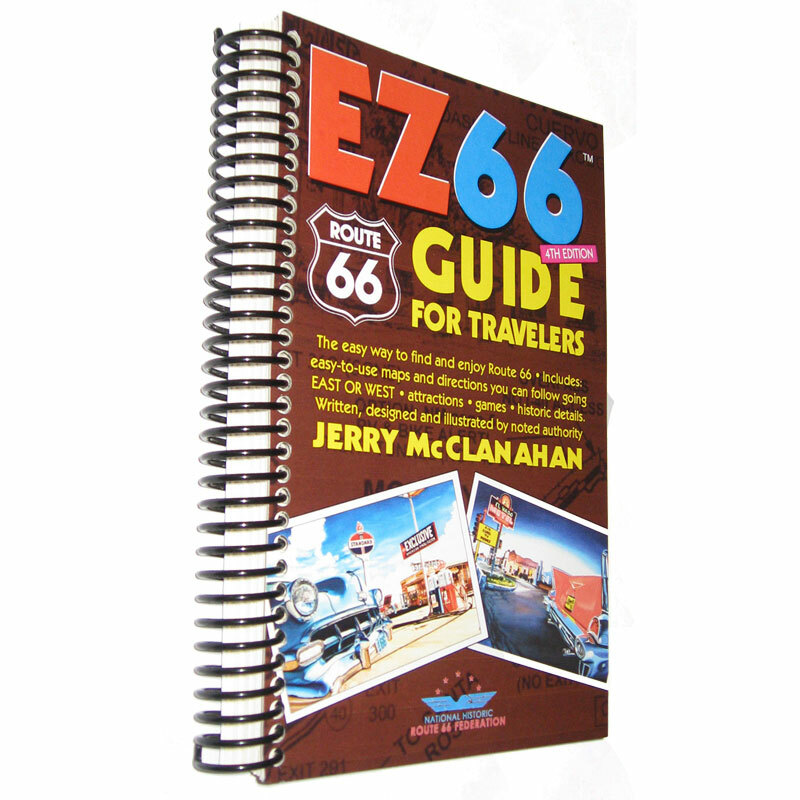 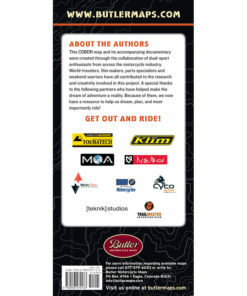 The spiral bound guide stays open to the pages you are reading while you are driving or riding. 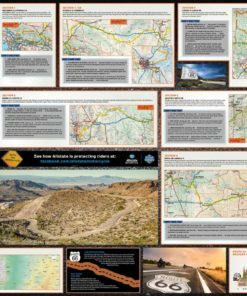 Also includes attractions, tips, other sources, and games. 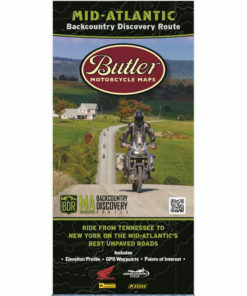 Convenient 5 1/2″ x 8 1/2″, 216 page, paperback format.